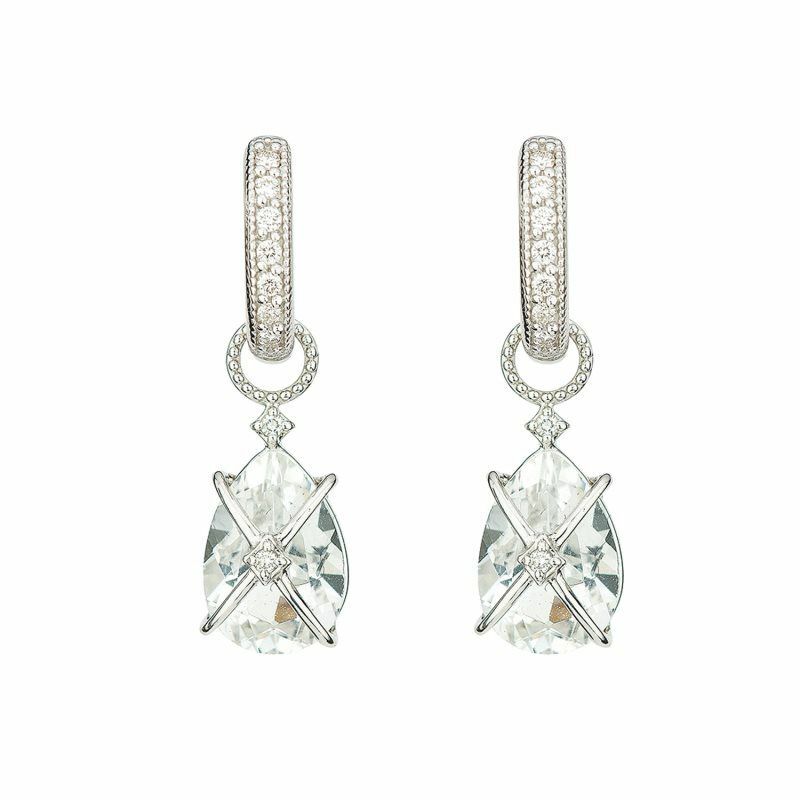 Cushion Earring Charms feature a cushion shaped faceted labradorite doublet with a simple diamond accent in 18K white gold. 13mm. Total diamond weight: 0.02 ct. Hoops and earring charms are sold separately. Hoops and earring charms sold separately. 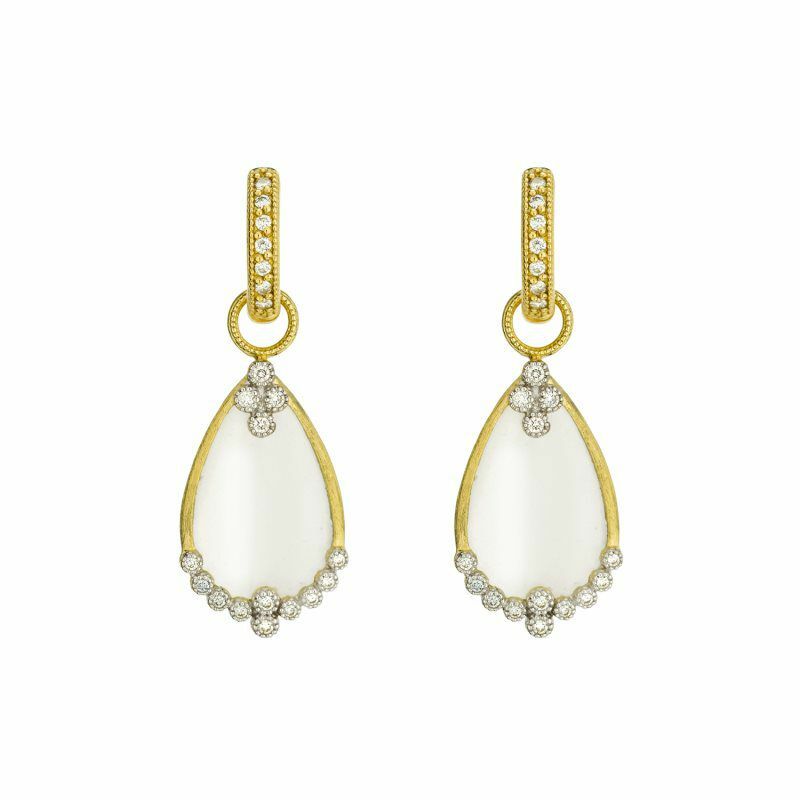 Pear Shaped Earring Charms feature pear shaped moonstone in 18k yellow gold with bezel set round diamonds. 23mm x 13mm. 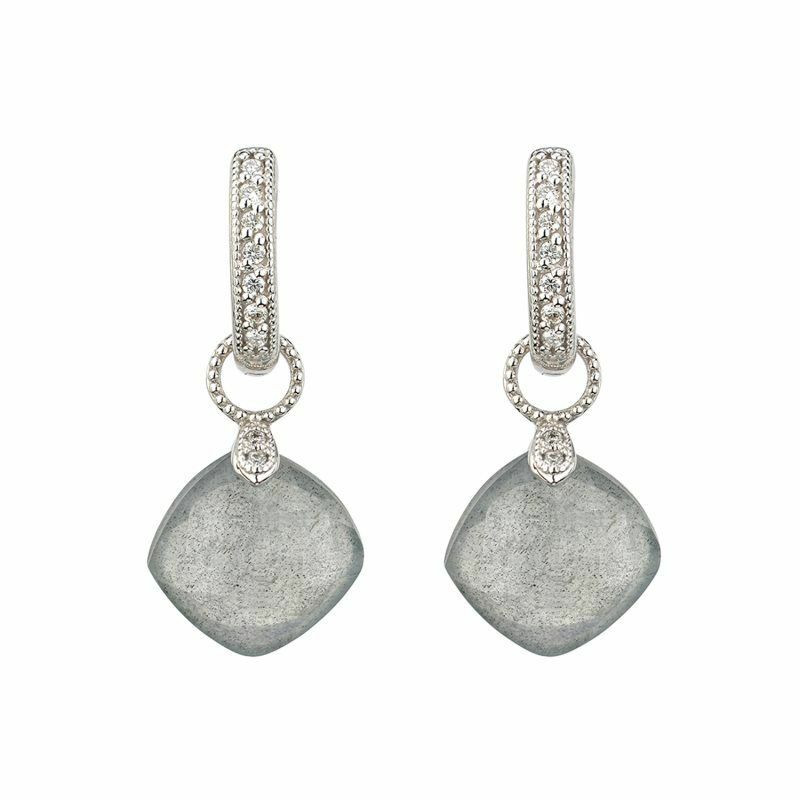 Total carat weight: 0.17.